Many people are curious about what goes on in heaven. The Bible gives us some clues in the book of Revelation. 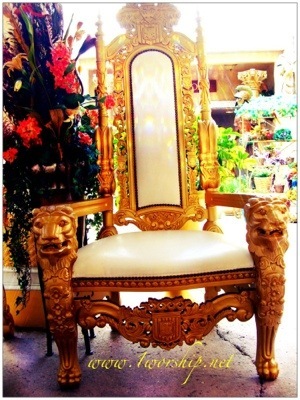 Both the throne and the crown are symbols of a dignified position or status that comes with great achievement. These twenty-four elders were each seated in comfortable positions on their individual thrones but voluntarily chose to lower themselves to an uncomfortable position kneeling before the Lord. Each had their own crowns but they chose to cast them down before the Lord. God is worthy to receive everything that we hold in high esteem. To worship God is to voluntarily sacrifice our own accomplishments and status in humility before him which is an uncomfortable process. A true worshiper honors God by willingly stepping down from the comfortable throne of their self sufficiency in complete surrender to him.